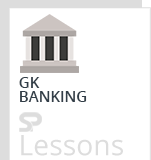 Static GK is one of the important section in several Government Sector and Bank related Exams. The article Deposit Insurance – Credit Guarantee Corporation presents the key points related to Deposit Insurance and Credit Guarantee Corporation. The article Deposit Insurance – Credit Guarantee Corporation can help the students and aspirants in several exams like IBPS PO, SO, Clerk, SBI, RRB, etc. The Deposit Insurance Corporation (DIC) bill was introduced in the Parliament on August 21, 1961. It got the assent of the President on December 7, 1961 and the Deposit Insurance Act, 1961 came into force on January 1, 1962. Initially, the Deposit Insurance Scheme extended to functioning commercial banks only. This included the SBI and its subsidiaries, other commercial banks and the branches of the foreign banks operating in India. Since 1968, with the enactment of the Deposit Insurance Corporation (Amendment) Act, 1968, the Corporation was required to register the eligible co-operative banks as insured banks under the provisions of Section 13 A of the Act. The Government of India, in consultation with RBI, introduced a Credit Guarantee Scheme in July 1960. RBI promoted a public limited company on January 14, 1971, named the Credit Guarantee Corporation of India Ltd. (CGCI). With a view to integrating the functions of deposit insurance and credit guarantee, the above two organizations (DIC & CGCI) were merged and the present Deposit Insurance and Credit Guarantee Corporation (DICGC) came into existence on July 15, 1978. Also, the title of Deposit Insurance Act, 1961 was changed to ‘The Deposit Insurance and Credit Guarantee Corporation Act, 1961’. To contribute to financial stability by securing public confidence in the banking system through provision of deposit insurance,particularly for the benefit of the small depositors. To be recognized as one of the most efficient and effective deposit insurance providers, and responsive to the needs of its stakeholders. The functions of the DICGC are governed by the provisions of The Deposit Insurance and Credit Guarantee Corporation Act, 1961′ (DICGC Act). The authorized capital of the Corporation is 50 crores, which is fully issued and subscribed by the Reserve Bank of India (RBI). The Head Office of the Corporation is at Mumbai. The Current Chairman of DICGC is Shri. B.P.Kanungo, who is currently one of the Deputy Governor of RBI. Chairman was nominated by RBI under Section 6(1)(a) of the Deposit Insurance and Credit Guarantee Corporation Act, 1961. All commercial banks including the branches of foreign banks functioning in India, Local Area Banks and Regional Rural Banks. Co-operative Banks – All eligible co-operative banks as defined in Section 2 of the DICGC Act are covered by the Deposit Insurance Scheme. At present all Co-operative banks are covered by the Scheme. Under the provisions of Section 16(1) of the DICGC Act, the insurance cover is given. Each depositor in a bank is insured up-to a maximum of 1,00,000 (Rupees One Lakh) for both principal and interest amount held by him in the same right and same capacity as on the date of liquidation of bank’s licence or the date on which the scheme of amalgamation comes into force. DICGC insures all bank deposits, such as saving, fixed, current, recurring, etc. except the given following types of deposits. Any amount which has been specifically exempted by the corporation with the previous approval of the RBI. The deposit insurance scheme is compulsory and no bank can withdraw from it.